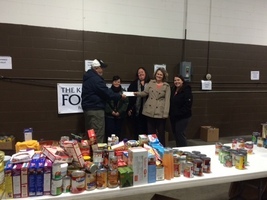 Heritage Acceptance employees were able to donate an entire row of non-perishable food items as well as give $50 to the Knights of Columbus to help prepare for their annual packing of food baskets. Each year, the Knights of Columbus donate food baskets to needy families in Elkhart County. Heritage adopted a four child family for Christmas. Not only did we collect all items needed for our family; we had another $624 collected in cash and gift cards that was used to buy extra clothes, games and gift cards for the kids. 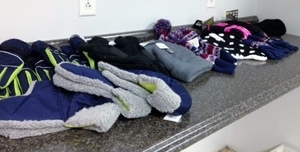 Items were delivered to the Baugo Lions Club on December 13, 2016.